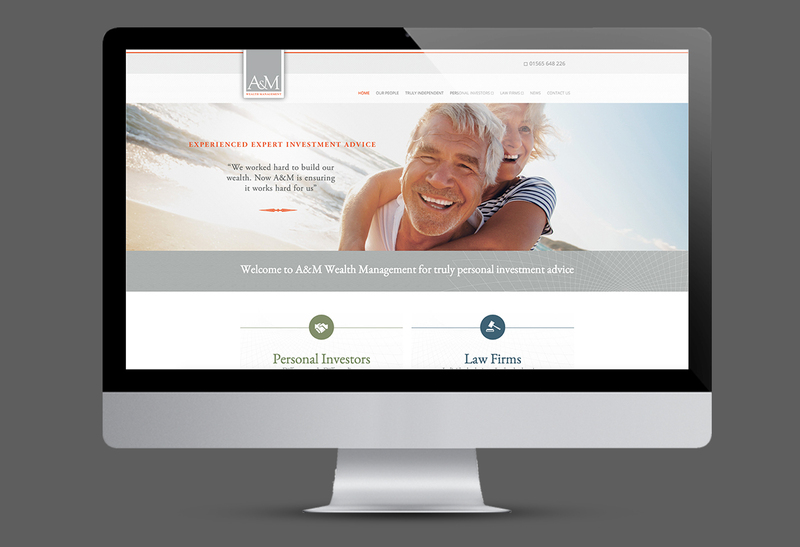 Reposition A&M Wealth Management through the creation of a mobile responsive website. To realign the business, who were highly respected by law firms and insurers whose clients were seeking the very best investment advice, but were punching below their weight. 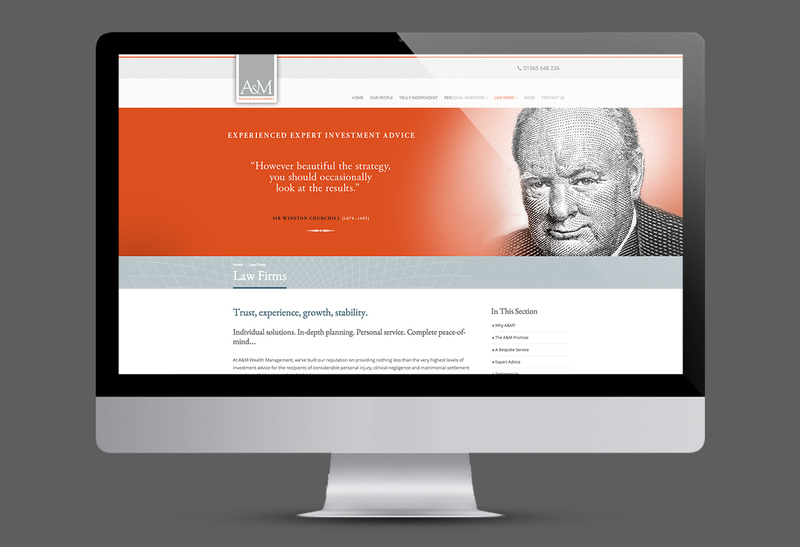 To create a mobile responsive website utilising the very latest Umbraco Content Management System that provided the client with full content management control. The new site would provide a platform to promote them as market leading professionals in providing independent, trusted advice and services. 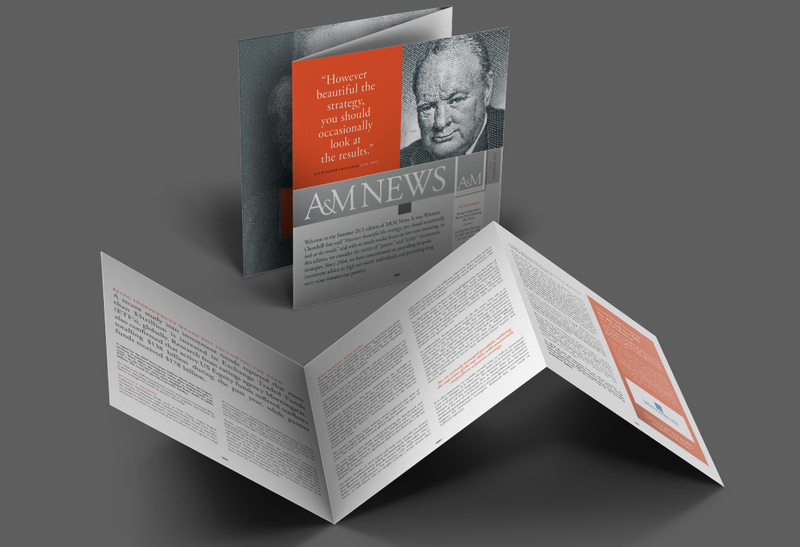 The solution was as straight forward as most web solutions in that it needed to appeal to both Legal and Insurance professionals as well as A&M’s direct, general public clients, both of which required very different approaches. 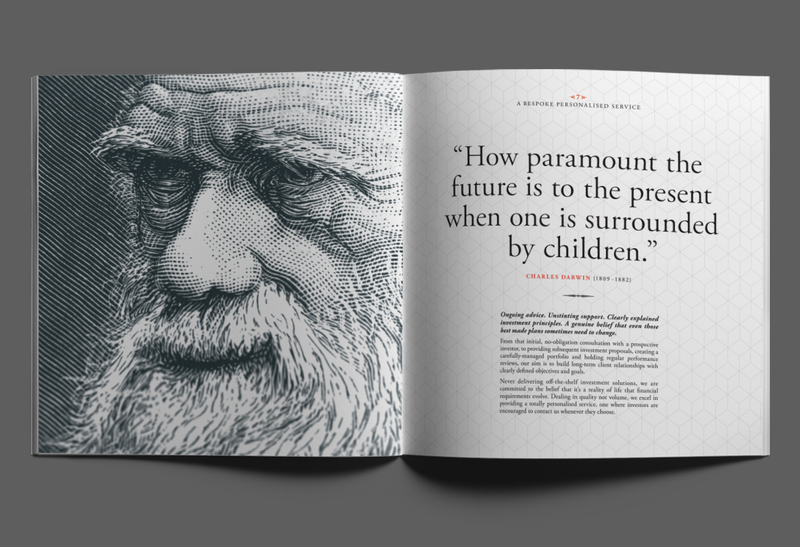 The answer was to create a single platform that provided tailored information to meet each customer’s requirements. 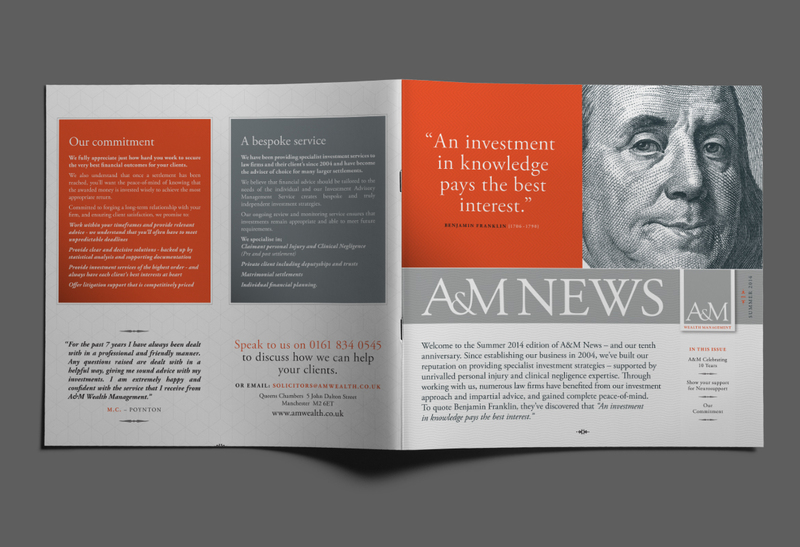 We wanted to focus on the professional trust A&M had developed over years. 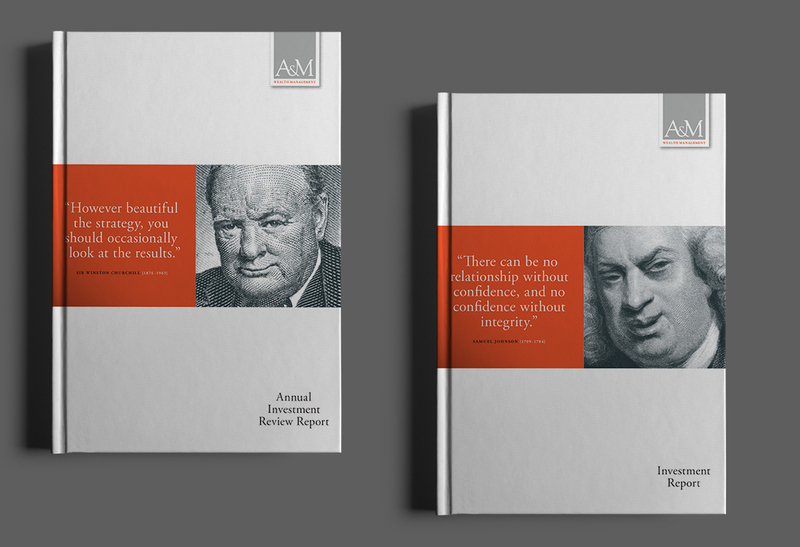 For the Legal and Insurance professionals we did this via the use of respected historians and their pertinent quotes. 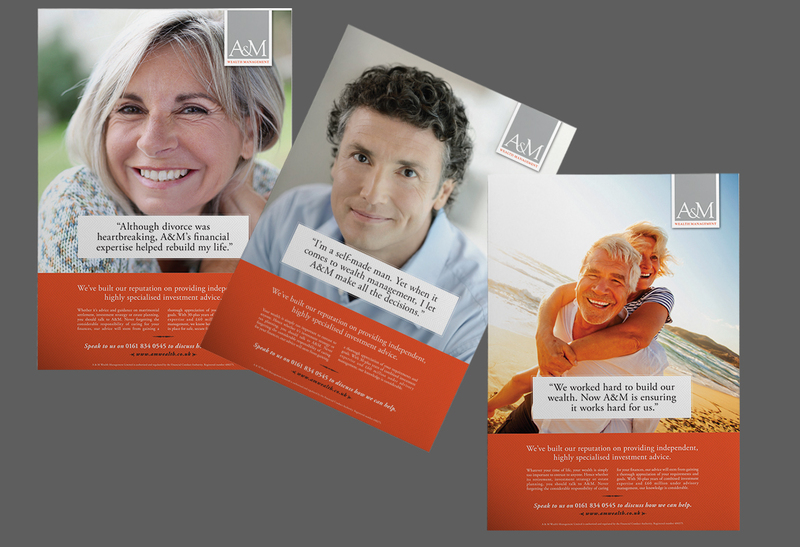 For their direct clients, we used a series of testimonials that were inserted into page headers to reinforce A&M Wealth Management’s ethos of trust, independence, care and commitment to delivering the very best in financial investment. 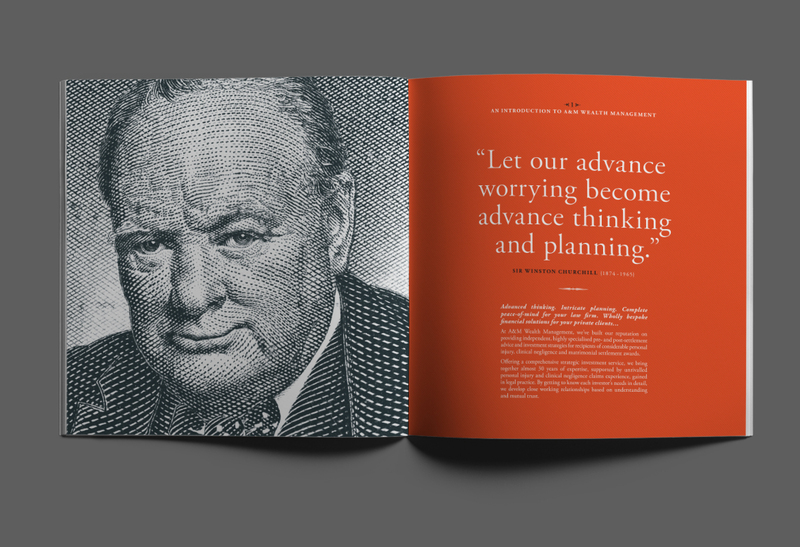 The use of bank note security patterns in the graphic treatment further helped reinforce the safe, secure delivery of investment A&M provides all it’s clients. 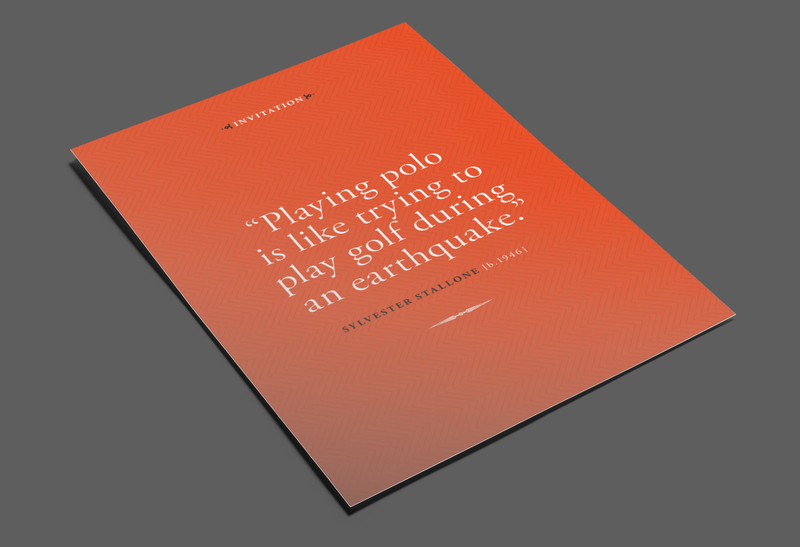 All the content within the site was focused on responding to the needs and queries of their clients. 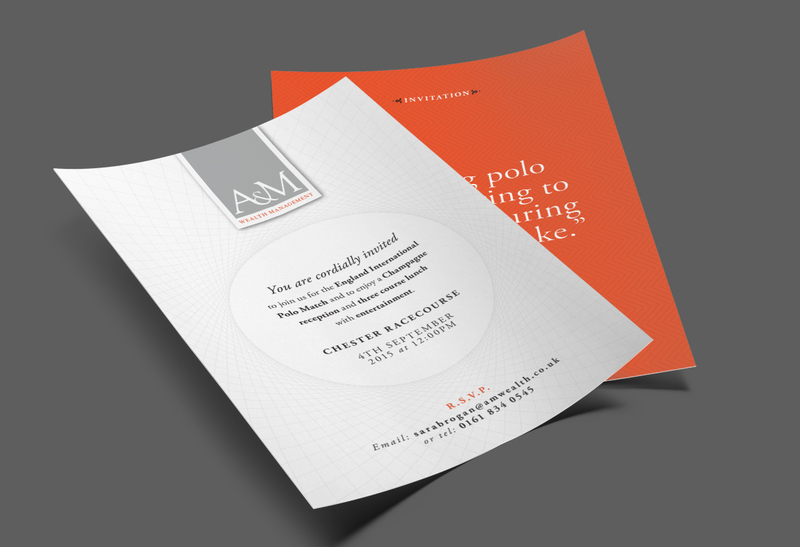 There was to be a transparent, step-by-step explanation of A&M’s processes to illustrate the care taken to ensure all investment options were considered prior to placement and constantly reviewed and managed to ensure the very best performance was achieved. 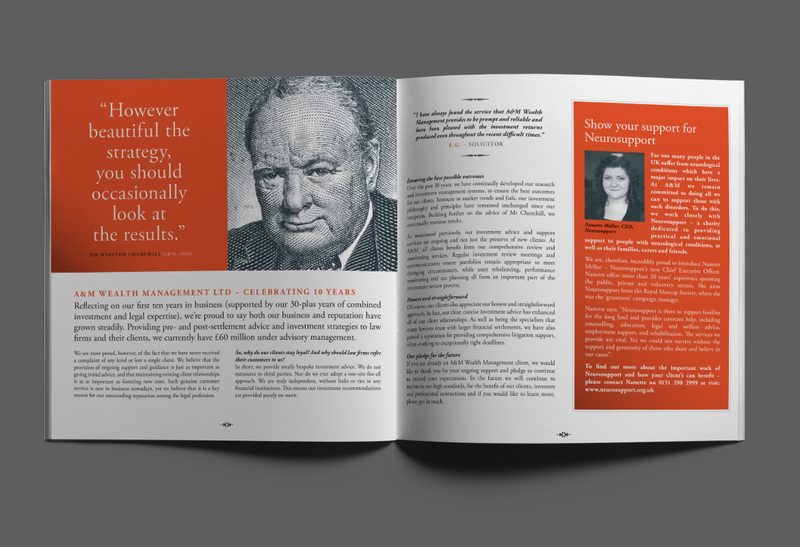 The website solution also included help and tips, FAQ’s, news and blogs, video links, social media and financial update feeds. 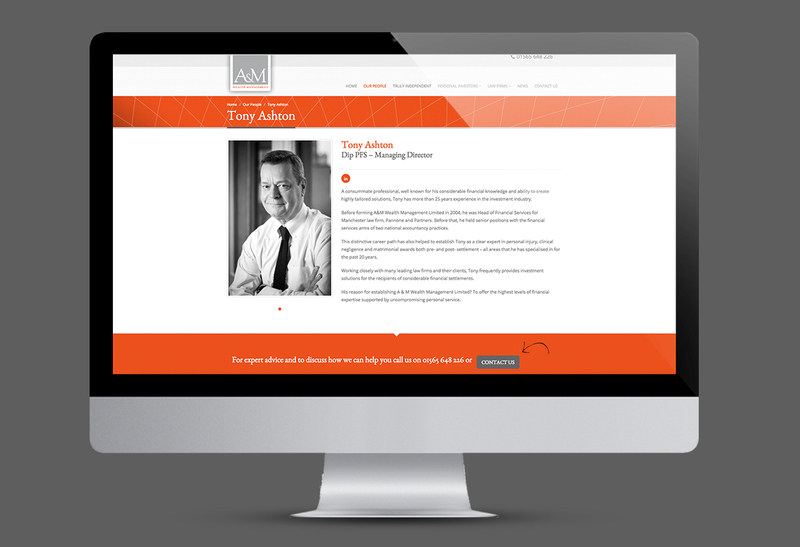 A&M Wealth Management now have a flexible, responsive and future proof open source platform, with excellent user experience that was both cost effective, SEO optimised and easy to manage and update internally. The net result being that A&M now have a set of tools that reflect the status of their business, enabling them to move forward with confidence.